Dance groups, artists, canoe paddlers and traditional food experts are gearing up for Celebration 2018, Southeast Alaska’s largest Native cultural gathering, held June 6-9 at Centennial Hall and nearby sites in Alaska’s capital city. It can be hard to fully describe Celebration. You can talk about its expected 2,000 or so dancers and 5,000 participants. Or the language, the oral traditions and the regalia. But that just doesn’t fully capture the experience. Sealaska Heritage Institute president Rosita Worl describes one year’s grand exit, when all the groups danced out of the performance hall. Celebration 2018 lists 45 dance groups from Southeast and other parts of Alaska, the Yukon, British Columbia, the Pacific Northwest and California. Every Celebration has a lead dance group representing a clan. 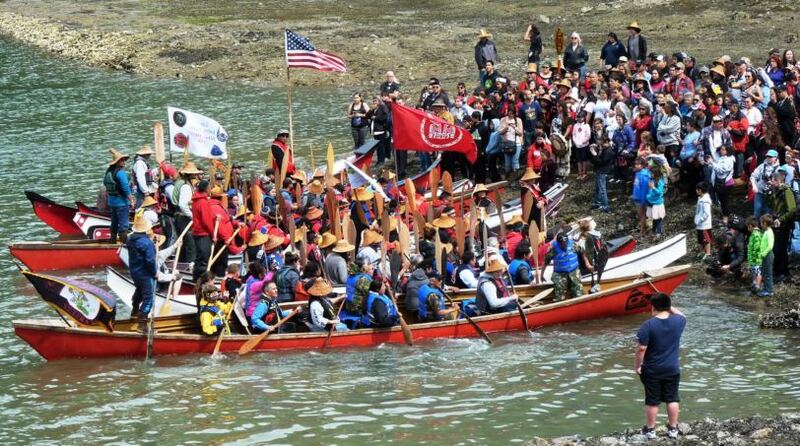 This year it has two: The Shangukeidí, or the Thunderbirds, and the Lukaax.ádi, or the Sockeye. They’re from Haines and Klukwan, or the Chilkat and Chilkoot areas. Worl said they will dance together, with clan songs from each. The entrance song, owned by the Shangukeidí Clan, is “The Thunderbird Trade Song.” The grand exit will feature “The G̱unanaa Trade Song, one the Lukaax̱.ádi Clan bartered for with inland Athabaskan tribes. Not all dance groups are made up of members of the same clan. Others are community, school or multi-tribal-based. Celebration coordinator Carmaleeda Estrada said she’s enjoyed the growth of the youth groups. 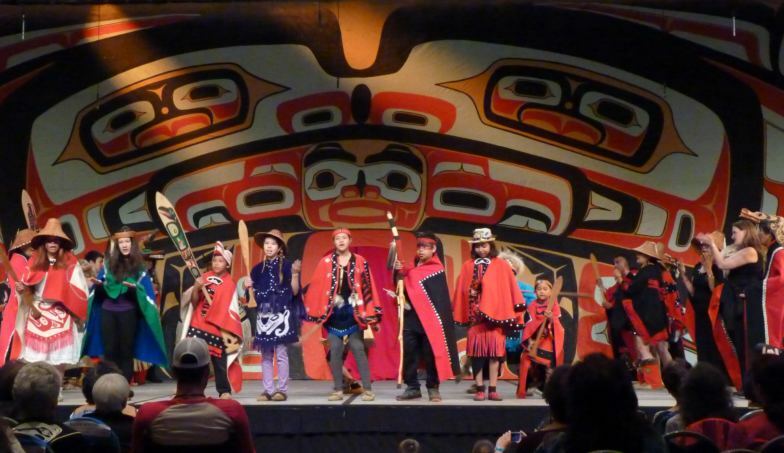 Two younger cousins from Angoon formed their own dance troupe and will be part of their second Celebration this year. Regalia, such as clan hats, vests, and button blankets, is worn by most dancers. This year’s Celebration will continue the relatively new tradition of a runway-style fashion show. For the first time, the models will have a formal model training session. Another new event is a seal oil contest, to be judged by taste and other factors. Estrada said such contests will be more visible than in previous years. But the action isn’t all on stage. Estrada thinks back to Celebrations she attended as a child. “You remember running around with your cousins and you don’t really realize how important and how lucky you are and what a profound event you’re at. But those things are just as fun, being able to reconnect with family and friends from all over,” Estrada said. Editor’s note: 360 North is under contract with Sealaska Heritage Institute to produce television and online video coverage of Celebration.